You don’t have to be a rocket scientist to know that the sport of skydiving takes a certain level of courage and determination that not many people have. Because of that, there is a deep-rooted sense of family when it comes to the skydiving community. This community even has its own language in regards to skydiving terms. Accelerated Freefall: A progressive skydiving course that is performed without an instructor attached via a harness. 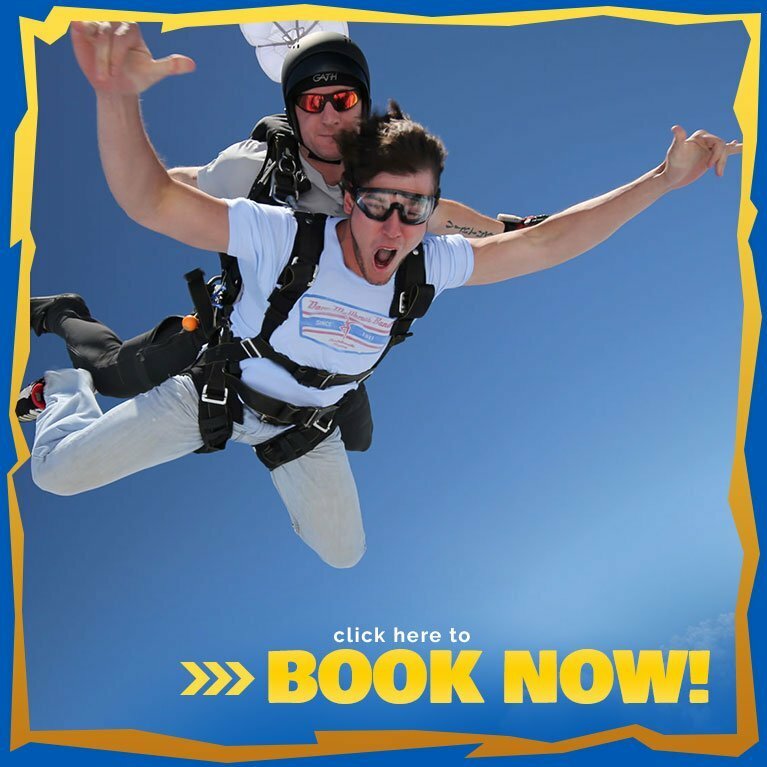 2 instructors will accompany the student during their jump to ensure that the skydive goes as planned. Altimeter: A device that measures the skydiver’s current altitude. Altimeters are used to judge height above the landing zone and allow the instructors to deploy the parachute at the proper altitude. Automatic Activation Device (AAD): A device that is connected to the reserve parachute container. AAD’s automatically deploy the reserve parachute at a predetermined altitude, speed, or time. Canopy: Also known as parachutes, canopies allow each and every skydiver to land at a safe and comfortable speed. Drop Zone: Any area that skydivers reserve to land. Drop Zone can also refer to the skydiving establishment, as a whole. Freefall: The time during a skydive that the skydiver is falling without the parachute deployed. Freefalls typically last anywhere from 45-60 seconds. Harness: The equipment in which holds the skydiver securely inside the parachute system. Pack: To properly fold the parachute system before a scheduled jump. Pilot Chute: A smaller parachute that is used to allow the main parachute to open correctly and promptly. Tandem: Refers to the sharing of one parachute system with another person. Tandem jumps are typically performed by newcomers and students. Wing Suit: A jumpsuit that is designed specifically for the act of gliding horizontally until parachute deployment. It’s time to stop dragging your feet. Take the leap! To learn more about skydiving or start your training, call 215-258-2255 today!